Today we’d like to introduce you to Reginald Turk. Reginald, can you briefly walk us through your story – how you started and how you got to where you are today. 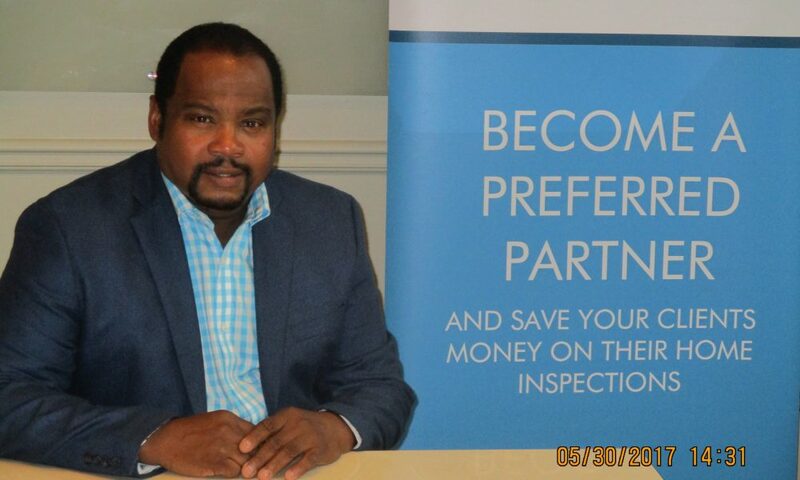 I have been a certified inspector for 10 years, first working with HUD in Michigan, inspecting bank-owned properties and then relocating to Georgia for a new contract opportunity inspecting and managing both HUD and Fannie Mae owned properties. Our observation working in a large market like Atlanta, was that there was a real opportunity in the marketplace for a new, more modern offering in the home inspection business. Newer technologies could be implemented to add efficiencies to the process resulting in faster turnaround for the inspection report and a fairly substantial cost savings that could be passed on to our customers. Our customers are typically cash strapped when they get to the closing phase of buying a home, no matter the size of the home. Obtaining a quality home inspection before closing is imperative but we wanted to make the process easier and more transparent for the home buyer with fixed pricing based on the square footage of the home with no unexpected additional costs or haggling required. The result has been tremendous as we have heard from customers and realtors alike that they love working with us because we make things easy, they get a same day report in most instances, and they feel that our pricing is fair. And that is our goal in all of this – to provide our clients with the knowledge they need to make a sound home purchase decision and to make the process as seamless as possible. I think the biggest challenge has been in reconciling experience with technology. We only work with the best, most experienced home inspectors in the business but many of these people have not had exposure to the latest technologies available. So we provide a comprehensive training for each new inspector that comes on board, with their new licensed home inspection software. The software can be used on a smart phone or tablet and provides the inspector the opportunity to complete 90% of the report while he or she is conducting the inspection. Alright – so let’s talk business. Tell us about Forensic Home Inspections – what should we know? Forensic Home Inspections is a full-service home inspection company headquartered in Atlanta and servicing the following markets in the Southeast: Atlanta; Miami; Nashville, TN; Lexington, KY; and Birmingham, AL. With plans to expand into additional Southeast markets in 2017, Forensic Home Inspections seeks to become one of the largest quality inspection providers in the country. Our rooftop-to-foundation home inspection services provide homeowners with a comprehensive overview of the health of their homes. We offer over 10 years of experience in the industry with certifications from the National Association of Home Inspectors and the American Society of Home Inspectors. I think the biggest contributor to our success and continued growth is repeat business from our realtor partners. It costs more to acquire a new customer than it does to retain a customer and the biggest compliment we can receive is another client referral. Realtors have a tough job and a million things to think about and handle between an offer and closing. We are here to assist them in helping their customers make a sound decision. Forensic Home Inspections offers our Preferred Partner Realtors a fixed inspection price of $250 up to 3,500 square feet. Each additional 1,000 square feet is an additional $100.